Yamaha unveiled this long-awaited bike – albeit still in concept form only – yesterday at EICMA and it pretty much stole the show, at least for us adventure riders. When the Iwata firm first introduced its 900cc three-cylinder engine in the best-selling MT-09 we were all hoping that among the bikes that would eventually spawn off that cpowerplant there would be a mid-size adventure bike to fill the gap between the XT660 Ténéré and the XT1200Z Super Ténéré, something that would be powerful enough for long distance riding with luggage and maybe a passenger, but light enough to venture offroad beyond easy dirt tracks. With all adventure bikes having grown bigger and fatter, there were only two 800cc bikes covering that gap in the market – BMW’s GS and Triumph’s Tiger. A year later, when Honda took the wraps off their True Adventure prototype, with a 1000cc engine, it became glaringly obvious that Yamaha had to do something with their 900cc triple to get a foot on that market. Well, it seems that it was not so obvious to them, as what we got was the Tracer 900, a bike that was more a replacement for the ancient TDM900 than a trail with any offroad pretensions. I was disappointed and got a second-hand Super Ténéré. 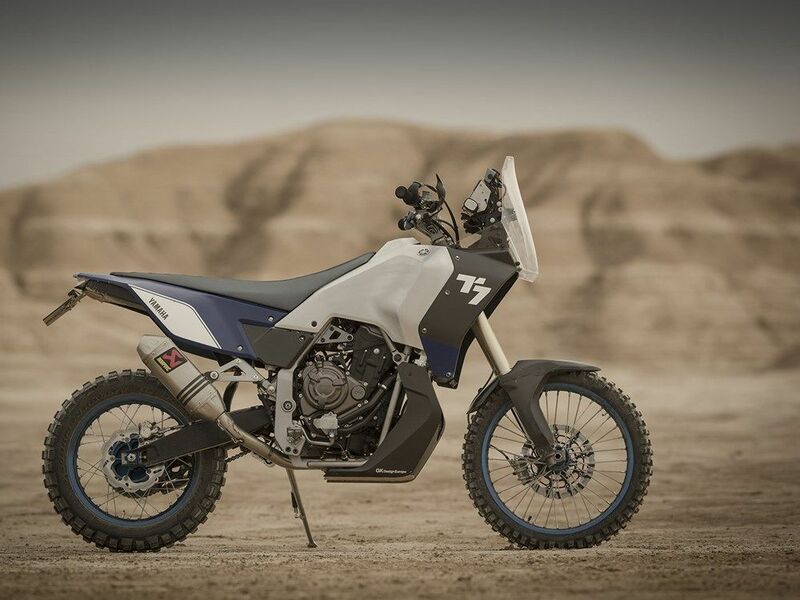 It seems though, that Yamaha has finally to take up the fight, and having made truck loads of money from their MT-09 and Tracer they have finally come up with a proper adventure bike. The T7 concept does not use the 900cc engine, which in the end might turn out to be a good thing, as it would make the bike heavy and its power delivery would not be suitable for technical riding (that is precisely what I did not like about the Triumph Tiger). Instead, they have gone for the smaller 700cc engine from the MT-07, another best-seller. Like Honda did, they seem to have been doing their homework and studied all the relevant adventure riding internet forums wish lists. 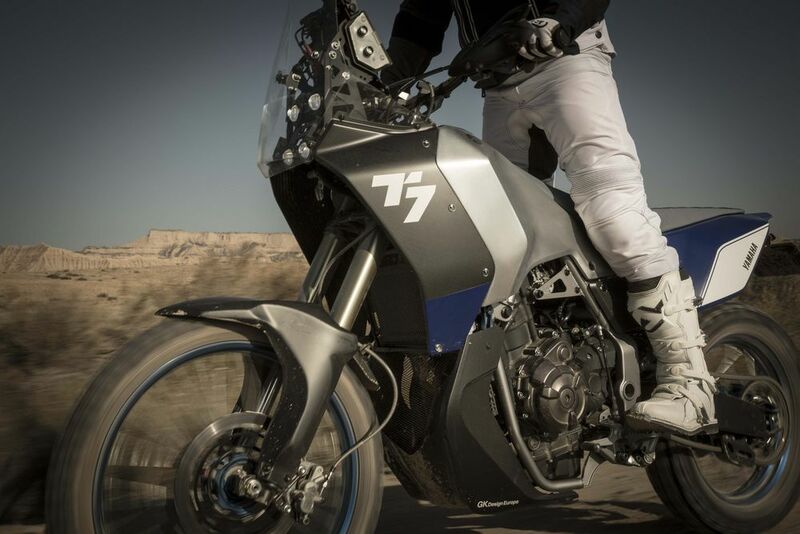 The T7 prototype has 21 and 18-inch wire wheels, KYB suspension and is estimated to weight about 180kg and have 74bhp. Those two last figures need to be officially confirmed, but if the end result is near, this might turn out to be a serious offroad rival for Honda’s AT. Like the True Adventure concept, the T7 looks pretty much a finished bike, so by the time it reaches production in 2018 not much should change. 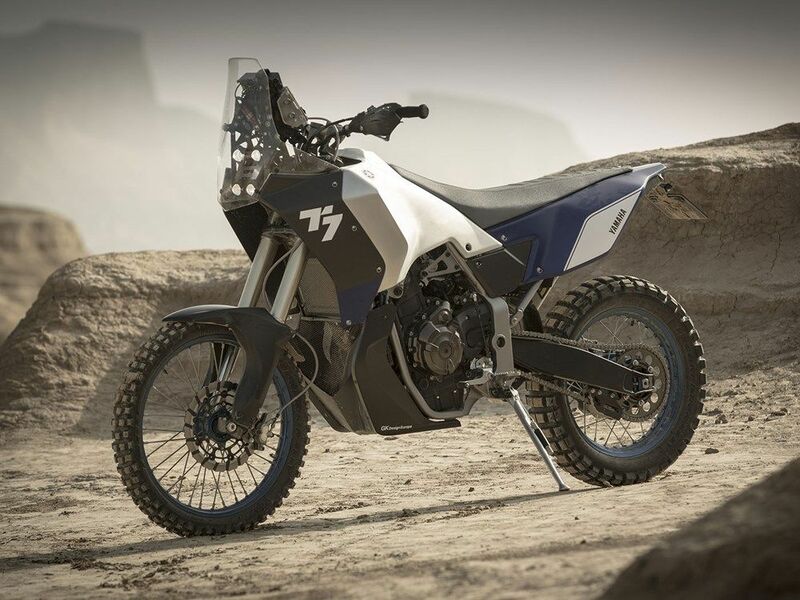 My guess is that it will get a less radical seat, the front fairing will incorporate a regular headlight and the Dakar-style instrument panel will be replace by a regular one, most likely the one already seen in the Tracer and facelifted Super Ténéré. The market is getting interesting… Your move now, BMW. 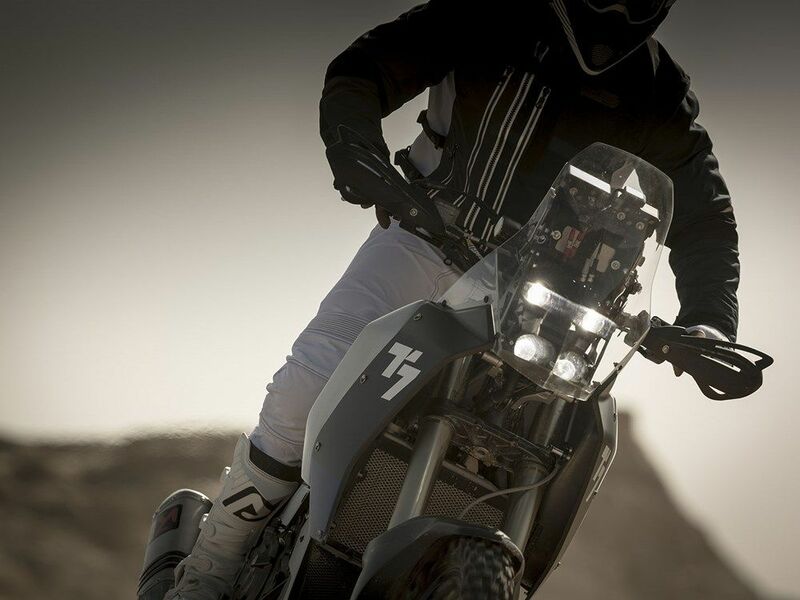 This entry was posted in Equipment and tagged new Ténéré 700, Ténéré, Yamaha T7 by Kilian. Bookmark the permalink.